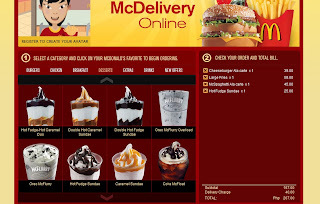 I was craving for spaghetti and Febbe wanted some fries we then decided to give McDonald's deliveries a try. I went online and chose what to buy. 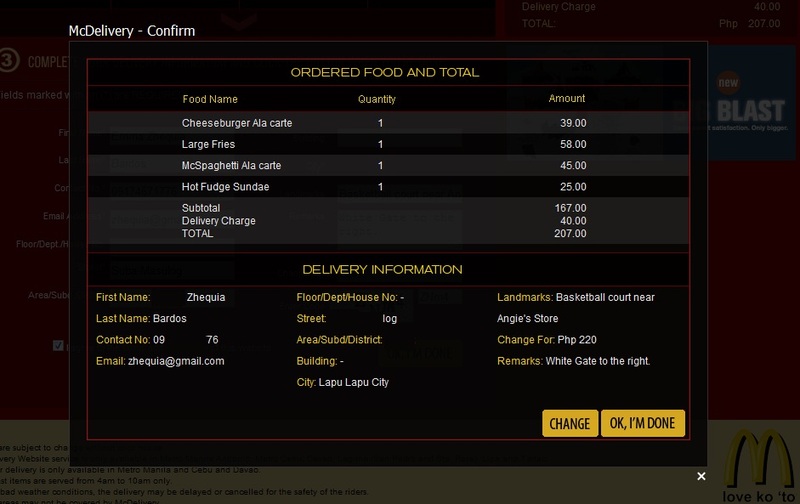 You have the option to choose if you want it ala carte or with the whole shebang. 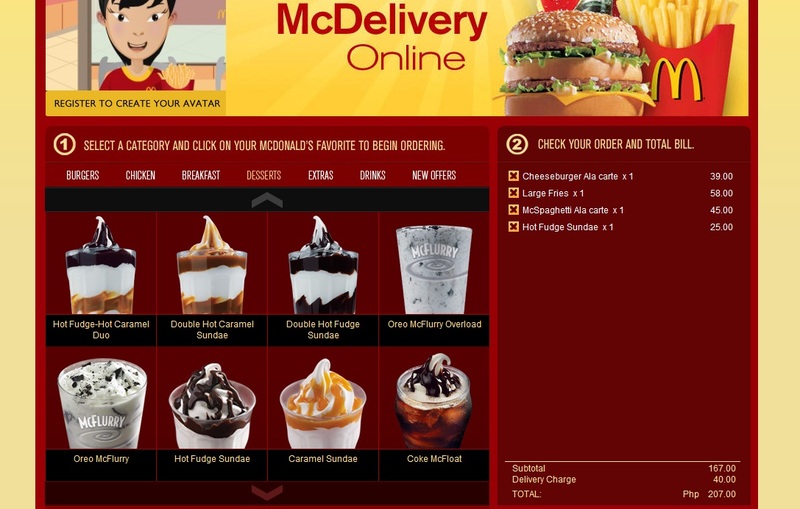 You can even choose your drink size, upgrades and other food options. I then completed the delivery information and ticked the terms and conditions of the website. After 5 minutes my phone rang with an unusual number. It was McDonald's contact center, they verified a few information regarding where I lived. I provided them with landmarks and informed me that someone from Cebu will call my number. They eventually did. They reviewed my order and the landmarks as well. We would only need to wait 30-45minutes. A few minutes later, someone was at the gate. It was Mr. Delivery Guy! Hoooray! We paid the amount due and opened the brown bag. Spaghetti check. Burger check. Large Fries check. Something does not seem right. I think somethings lacking. OMG! Where is my sundae?! Mr. Delivery Guy already left and just as I was about to burst out in anger, heavy rain poured from the sky. The stars aligned and conjured rain on my behalf. I let it shrug. We paid it though, I sure hope Mr. Delivery Guy remained safe the entire trip back to McDonald's. Spaghetti tasted odd and the pasta was rather bland and soggy. The fries as expected were soggy as well, the burger was passable.